Many refer to Super Silver Haze as the King of Sativa cannabis seeds, and we won’t argue with that title! 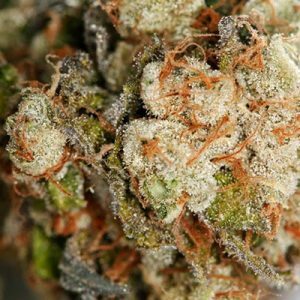 Since the 90’s when it was introduced and won several awards including the High Times Cannabis Cup more than ones, it has been one of the most popular strains out there. There are several versions though so you need to carefully buy Super Silver Haze from seed banks. When you buy what we offer, you get a marijuana plant that is easy to grow and offers plenty of resin. We are excited to share with you why our Super Silver Haze cannabis seeds can offer so much more. It has to do with how we select the breeders we work with. There aren’t too many standards in this industry but we have our own guidelines and we set them very high. We don’t work with breeders who can’t meet or exceed our expectations on a consistent basis. The balance in place with the Super Silver Haze marijuana seeds we offer also allows them to be grown outdoors. The parents of Super Silver Haze are Haze and Northern Lights, both exceptional strains on their own. This hybrid mix is why our product gives you a great high, relaxes the mind, and increases your energy level. The smell is citrus and the taste is very sweet. The high comes on quickly and lasts for a long time. When you buy cannabis seeds from us, we get the ball rolling quickly. Our store can send them to you anywhere in the world and you should have them in 21 business days or less. We sent them with registered shipping to verify delivery. Also offering discreet packages so you can keep it private that you have purchased any of our more than 100 marijuana seeds offered. We are so confident you will get results with the cannabis seeds that we offer a guarantee on them. They have a 90% germination rate which is very good for this strain. This includes using them indoors or outdoors depending on your preference. We give you a grower’s guide that shares with you the best practices to gain overall results. One of the tips we share is to use fertilizer as your Silver Haze plants will give you about 30% more product if you do so. Many of our customers buy cannabis due to the various health benefits they gain from it. The use of these seeds can reduce stress and anxiety. It can help to reduce pain and help you to sleep better. For those with mild to moderate depression, it can reduce symptoms and improve mood. Spasms can also be reduced with the use of Silver Haze seeds. The leaves are also very thick. When it is time for harvest to near, you will see bright orange hairs also developing on the Super Silver Haze plants. 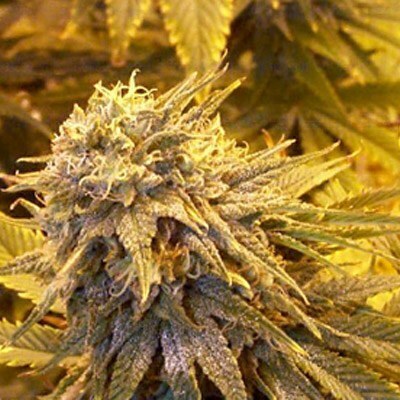 How Much THC does Super Silver Haze Marijuana Seeds Have? There is about 23% THC found in these plants. It offers a buzz that hits very quickly. It affects both the mind and the body, offering a deep level of relaxation. Many people use it at night before they go to bed to help them sleep well. The high lasts for many hours, and it is one of the longest time frames of all marijuana strains out there. What does Silver Haze Smell and Taste Like? You will enjoy the sweet smell and taste this strain offers. The taste is very fruity and it lasts a long time in your mouth. This is also a smooth cannabis strain, and very few people don’t like it. In fact, they love the taste of it just as much as the high they get from it. Sometimes, it can be skunk tasting too, depending on how the parentage is stacked up for your seeds. Why do People use Super Silver Haze Cannabis? This strain of cannabis thrives much better when you control the environment and grow them inside. You can grow these outside as well, and should be planted in October and November. They need cooler temperatures but don’t grow well in extremely low temperatures. These plants can be up to 6 feet tall when it is time for harvest, making it difficult to hide them outdoors. You won’t need too many marijuana plants, due to the high volume of resin each plant offers. Make sure you take action to reduce humidity though because that will reduce your yield from each plant. Dehumidifiers are a cost effective and simple solution to put in motion. It takes between 8 and 10 weeks for the plants to be ready to harvest.